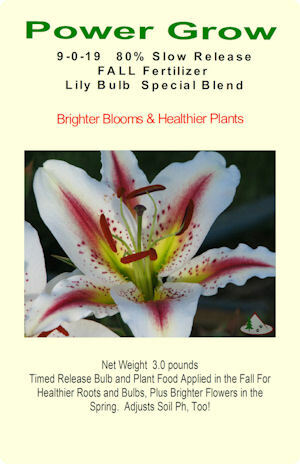 Fall Lily Bulb Food, Bulb Food Fertilizer is specifically formulated for all bulbs. Use on all indoor an outdoor plants, too. Healthier more colorful blooms. FOUND ONLY HERE! Moreover, includes a natural ph soil balance. 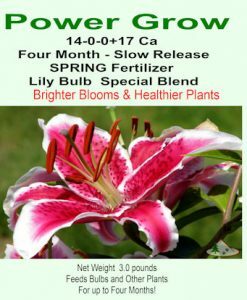 Our special 80% slow release Fall lily bulb fertilizer builds healthier plants. Plus larger and more colorful blooms for next spring. It’s easy to spread the granules in the Fall. Also, during or after planting your lily bulbs or plants. After ten years of testing we have developed our own Fall lily bulb food. And bulb food fertilizer. Or plant food. Then we compared ours to all other brands for two more years. There really is no comparison…Our Fall lily food bulb or bulb food fertilizer is the best, hands down! Brighter, blooms that are more true to their actual color, sturdier stems, healthy roots and bulbs, greener more healthier foliage, and more! You will not believe how much better our fall lily bulb food, bulb food fertilizer is compared to other brands. We guarantee it!! No fancy labels, expensive packaging, or marketing schemes. Just a great product for your all bulbs and plants! For best results: Apply in the Fall at time of planting. Or top dress around each established bulb or plant. Available in 3 lb Packages. 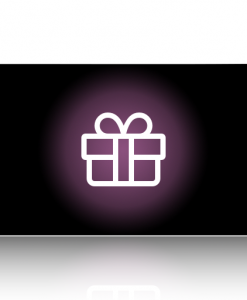 Treats up to 30 bulbs. Bulbs are such a leap of faith. We plant them months before we expect to see them. And then forget all about them. But just when we need them, they pop out of the ground. Then remind us in the most delightful way, that spring always follows winter. Taking a lot of energy to bloom. Those fat bulbs you planted last fall have not been sitting. They used their stored food. Sending it down to a healthy set of roots last fall. Therefore, establishing them for years to come. When spring comes the bulbs sprout. Pushing their way toward the sun. The remainder of their stored energy is depleted. They recoup a good deal of it. If you let the leaves die back on their own. All the photosynthesis they undergo puts carbs back into the bulbs. Getting them through another period of dormancy. Then, preparing them to bloom again next spring. Leaving most of the leaves is the most important thing you can do. And don’t braid the leaves or fold them into tidy bundles. You want as much of the leaf exposed to sunlight as possible. They won’t be ugly for long. Once turning brown, their work is done. Then remove them. Subsequently, nearby plants have filled in. And you barely even notice the fading leaves. The bulb is doing everything it can to stay healthy. And extend its life. Above all, help it along and give it a boost with some bulb food.. If you’ve been feeding your bulbs and they seem to be suffering, test your soil pH. Most bulbs like a pH between 6.0 to 6.5. 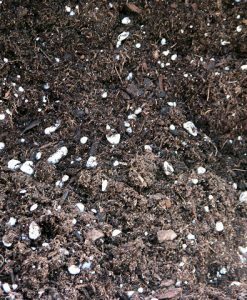 If soil pH is too high or low, bulbs won’t be able to access the nutrients in the soil. No matter how much you feed them.